Are you wanting to get more avocado in your life? Using it in your smoothies is an easy way to take advantage of the health benefits of avocado. If you’re not familiar with avocado, there are lots of great reasons to eat it regularly. It’s a great source of monounsaturated fats, which help to keep your heart healthy. And that’s not all … you also get essential nutrients such as vitamin E, fiber and potassium. It’s one of the healthiest foods you can eat so it makes sense to make it a staple in your smoothies! 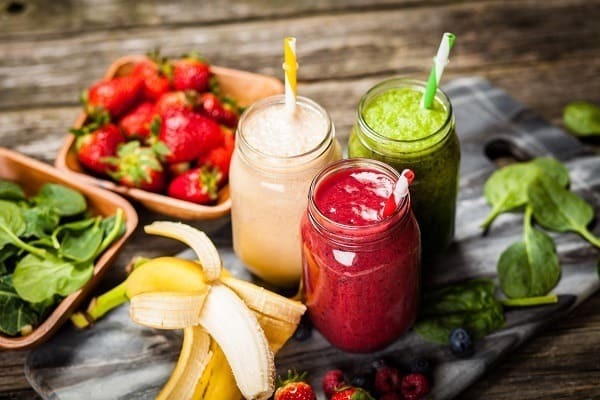 Whether you’re looking for a healthy smoothie that will keep you full all morning or a delicious dessert smoothie that won’t make you feel guilty, we’ve got you covered. With these recipes, you’ll have lots of options for how to include more avocado in your smoothies. Are avocados high in fiber? Are avocados high in iron? Are avocados high in vitamin K? Are avocados acidic or alkaline? Are avocados safe during pregnancy? Looking for a super creamy smoothie but is also healthy? You’ll love this recipe, which makes for a delicious chocolate mousse style dessert that won’t feel a bit naughty. It’s also naturally sweet thanks to the banana. The ultimate guilt-free chocolate dessert! Plus, it’s quick and easy to make too. Pit and peel the avocado and peel and chop the banana. Add all of the ingredients to your blender and combine until thick and creamy. You may want to add a touch more work if it’s too thick but bear in mind that you’re going for a dessert like texture! If you’re looking for a quick and easy avocado smoothie recipe that will keep you feeling full, this is one for you! It’s full of healthy fats, antioxidants and fiber. It even sneaks in some greens too so it’s perfect if you don’t necessarily want a green smoothie but still want one serving in there. Add almond milk, spinach, banana, avocado, blueberries, flax seed and almond butter (or almonds) to your blender and combine until smooth and creamy. If it’s too thick for your preference, add a bit more almond milk to thin it out more. There may only be a few ingredients in this recipe but this is more than enough to support your cardiovascular health. The healthy fats in avocado and the potassium in banana both contribute to heart health, and cinnamon is anti inflammatory. And if you’re trying to lose weight, the monounsaturated fatty acids in avocado can reduce potential for abdominal fat too. Pit and peel the avocado and mash the flesh up. Peel and chop the banana. Add avocado and milk or coconut water to your blender and combine until smooth. Add everything else and carry on blending. Here’s another recipe that is more like a dessert. It’s essentially a milkshake that contains avocado rather than what you might think of as a smoothie. Traditionally, it uses condensed milk but if you’re not a fan, you can go lighter on this and swap it for more milk or a milk alternative such as coconut milk, which has a similar thickness to condensed milk with none of the sugars ;). Pit and peel the avocado. If you’re looking for a super simple avocado smoothie that takes very little time or effort, we’ve got you covered with this recipe. It only needs three ingredients and because the banana is frozen, you don’t need ice cubes. You can sweeten it up with a touch of honey if you prefer. I personally prefer the almond milk version over the regular cow milk one but that's just me. Pit and peel the avocado and cut the flesh into cubes. Peel and chop the banana. Add all of the ingredients in your blender and blend until smooth and creamy. For a weight loss friendly avocado smoothie, look no further. Strawberries give you a nice fiber bosot and using Greek yogurt instead of low fat yogurt helps to keep you full and stops you snacking, especially for a breakfast smoothie. With the milk and yogurt, there’s a good amount of calcium too. Pit and peel the avocado and cut the flesh into chunks. 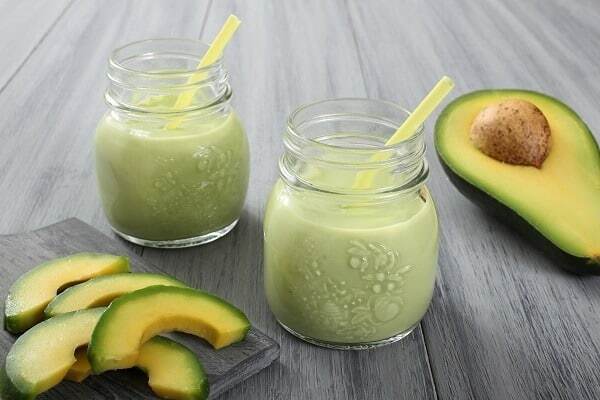 Never thought of teaming avocado with mango in a smoothie? They may not be your first thought but they actually work really well together. Avocado has a pretty mild taste so it doesn’t take away from the tropical taste of the mango. It also contains spinach for an added nutrition boost but don’t worry, it’s tasteless compared to the other two main ingredients so you’ll hardly know it’s there! Pit and peel the avocado and chop the flesh into pieces. Pit, peel and chop the mango. 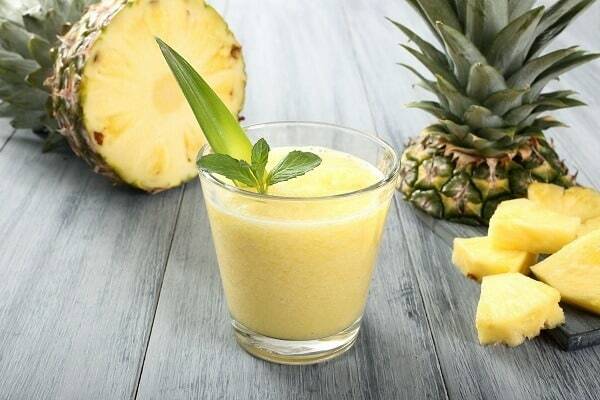 Here’s another tropical tasting smoothie - this time with pineapple. You can add spinach here too if you prefer as its blandness means it won’t affect the overall taste. It’s a thick smoothie and could pass for a dessert in terms of consistency, albeit a very healthy one! Pit and peel the avocado. If you’re using fresh pineapple, cut it into chunks. If the consistency isn’t quite right, you may need to add a bit more milk. If you’re looking for a quick and easy avocado breakfast smoothie that will fill you up until lunch, this one will do the trick. It’s loaded with potassium, which a lot of people don’t get enough. Low potassium can make you feel tired and also affects muscle function. 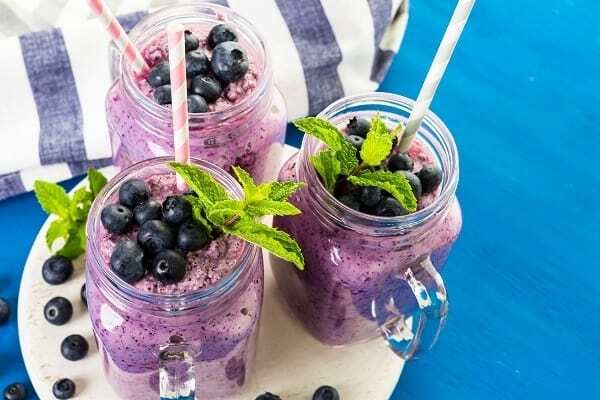 Sipping this smoothie in the morning will give you a good boost of potassium and it’s also a great source of fiber, which keeps you sated too. Pit and peel the avocado and cut the flesh into chunks. Chop up the pear into chunks too. Add all ingredients to your blender and combine until smooth. Serve and enjoy a great energy boosting start to your day! 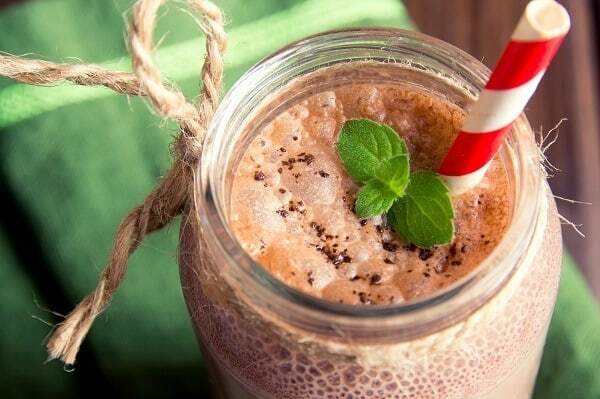 This smoothie is full of fiber so it’s a great breakfast choice to keep you going all morning. It’s a great one to pick if you’re trying to lose weight. The taste is slightly sweet, which means it’ll likely be a big hit with kids too! Pit and peel the avocado and cube the flesh. Core the apple and dice it. Peel and chop up the banana. Chop up the spinach or kale leaves. Add all of the ingredients to your blender and blend until smooth. Add the liquid first as apple can be difficult to blend otherwise. You may need to add a bit more liquid if the consistency is too thick for you. If you’re not going to drink it straight away, put it straight in the refrigerator until you’re ready. 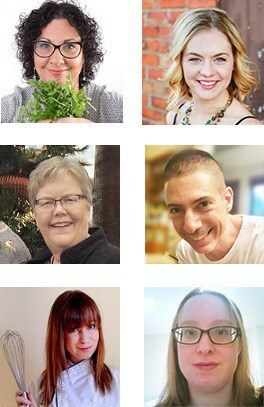 Not sure what avocados can do for your health or if they can help you lose weight? We’ve got you covered! Here are the answers to some of the common questions about avocado! A lot of people often wonder whether they should be eating the seeds of an avocado (also known as the “pit”). Some research has looked at this and has shown that there may be some health benefits of eating avocado seeds but this has mostly focused on avocado seed extracts rather than the actual seed itself. it hasn’t been established yet whether it’s truly safe to consume avocado seeds and while this is still up for debate, it’s safer to remove the seed and only eat avocado flesh. You’ll get lots of nutrients from this and we know that it’s definitely edible! Avocado is a low carb plant and is a popular choice on the Keto diet for this reason. In terms of “net” carbs, the gain is only 5 carbs thanks to the fiber content of an avocado. This goes up slightly with a large avocado but even then, it’s still a low “net” gain in carbs. Avocado is a great source of soluble fiber. The Californian Haas avocado is one of the most popular types of avocado and half of one provides around 4.6g of fiber. This is almost 20 percent of your daily fiber needs just from one avocado! Other types of avocado score even higher in the fiber stakes. For example, half of a Florida avocado contains over 8g of fiber, which goes a long way towards meeting your fiber needs. One thing to bear in mind though - they may be higher in fiber but they’re also higher in calories. Most of the fiber from an avocado is the insoluble kind that helps with healthy digestion but there’s also a good amount of soluble fiber. Florida avocado is particularly high in insoluble fiber. 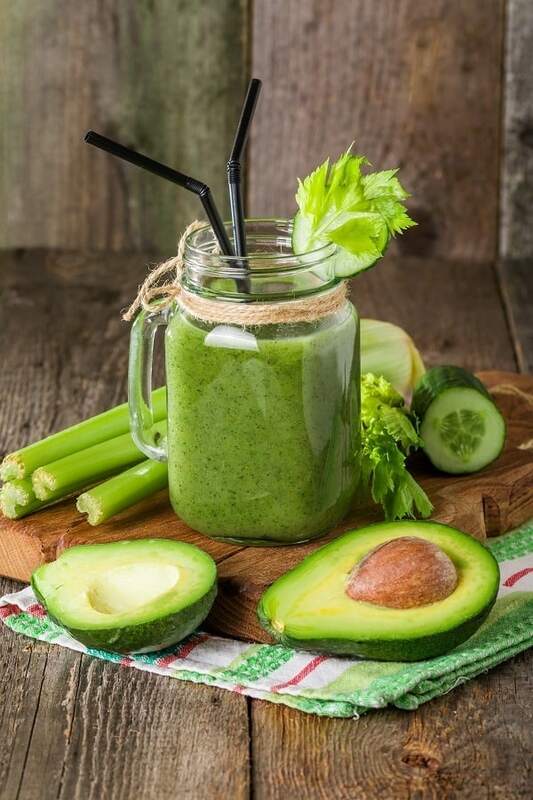 If your avocado smoothies also contain other fiber rich ingredients, you shouldn’t find it too difficult to eat plenty of fiber in the average day. Avocados aren’t a great source of iron and a 1 cup serving only contains around 5 percent of your daily needs. Iron from avocado (and plant sources in general) is non-heme iron, which isn’t as easy for your body to absorb. With smoothies, you can switch up your combination of ingredients to meet your needs so it’s easy to add iron rich food sources to an avocado smoothie to boost your iron intake. And making sure your smoothies also have a source of vitamin C can help your body to absorb iron more easily. Vitamin K is often overlooked in favor of more well known vitamins but it plays some important roles in your body, especially around blood clotting. One cup of avocado can provide almost 40 percent of your daily vitamin K needs. 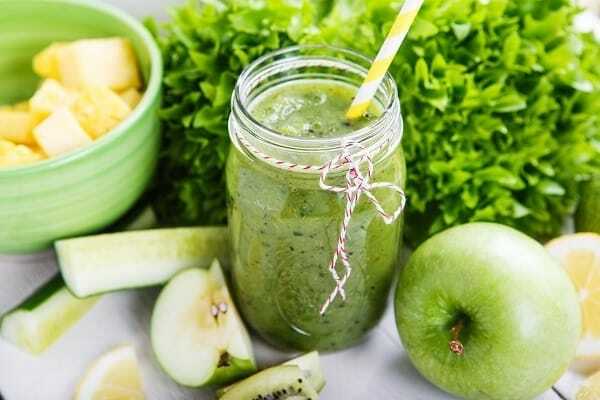 Dark leafy greens and kiwi are other good sources of vitamin K and you can get a pretty significant amount of your RDA by making smoothies that combine avocado with these ingredients. Spinach is a good addition to an avocado smoothie for boosting your vitamin K intake. Avocado is an alkaline food. Western diets can be quite acidic but alkaline foods can help to balance pH levels. Avocado also contains a fair amount of water, which helps to flush out your system and make your body more alkaline. 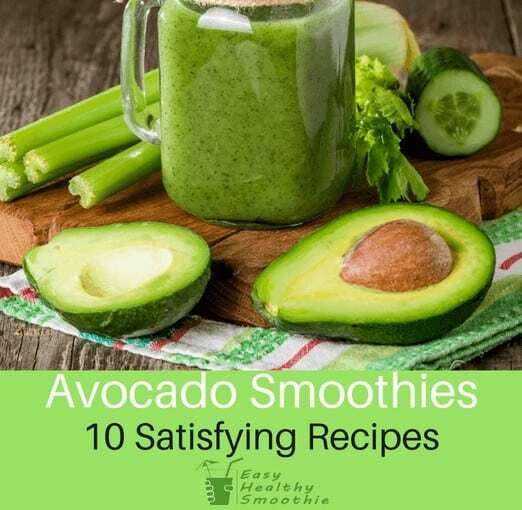 It’s safe to eat avocado while you’re pregnant and as there are no known issues that would cause problems, you can carry on enjoying avocado smoothies during pregnancy. In fact, the balance of nutrients in avocado can help to give you the essential nutrients that you need while you’re expecting. Folate is particularly important for pregnant women and you’ll find a good amount of this in avocado. If you’re struggling with pregnancy nausea, avocados can help to settle things down. This may be due to the vitamin B6 content. If you want to improve the appearance and condition of your skin, you could do a lot worse than eat avocado regularly. The monounsaturated fatty acids in avocado contribute to younger looking skin that is supple and plump. They also boost collagen production, which is also important for healthy and youthful skin. A lack of collagen is heavily linked to lines and wrinkles so avocado smoothies could be your secret weapon in the battle against aging! 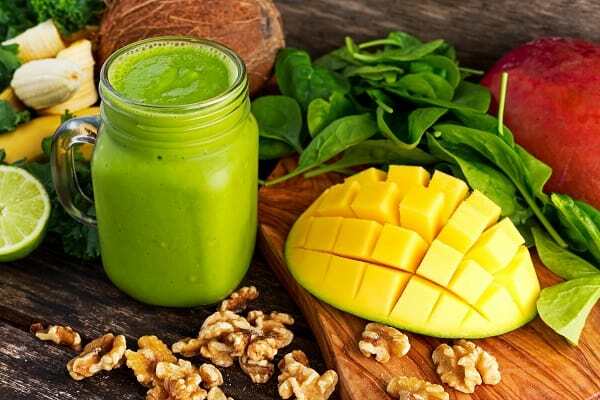 It contains a powerful antioxidant called lutein, which can protect the skin against the effects of UV rays and the oxidative stress that could otherwise cause damage to the skin. Which recipes did you like best? I really hope you’re enjoyed reading this piece and have got some inspiration for making your own avocado smoothies. As you can see, these are lots of health benefits associated with avocados and they definitely make some delicious smoothies. 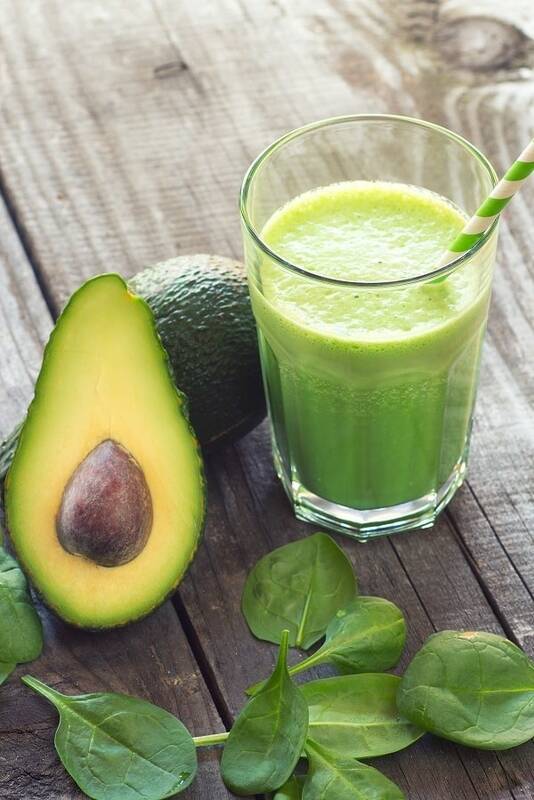 As always, feel free to share this article with your friends so that they can find out more about making tasty and healthy avocado smoothies too! Leave a comment below with your thoughts on these recipes and which ones you plan to make for yourself.